Celebrations are different everywhere you go, but some are a little more unique than others. 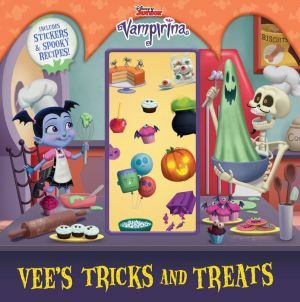 In "Vee's Tricks and Treats", Vampirina is going to show you how it's done in Transylvania! Join Vee as she prepares for her spookiest celebration yet in this book that comes with two sheets of fang-tastic stickers and a recipe!